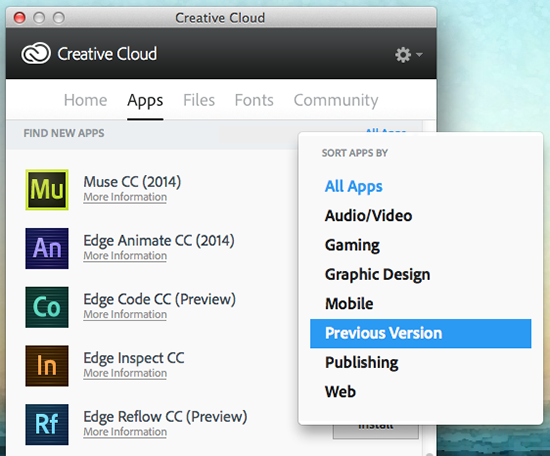 Last week, Adobe released an update to their Creative Cloud software. A major change from previous versions of Adobe’s software is now they have removed the ability to encode video into the FLV and F4V formats. Yes, you read that right. After Effects CC 2014, Premiere Pro CC 2014, and Media Encoder CC 2014 can no longer export video to the FLV or F4V formats. Interestingly enough, Flash CC 2014 can still import FLV video. 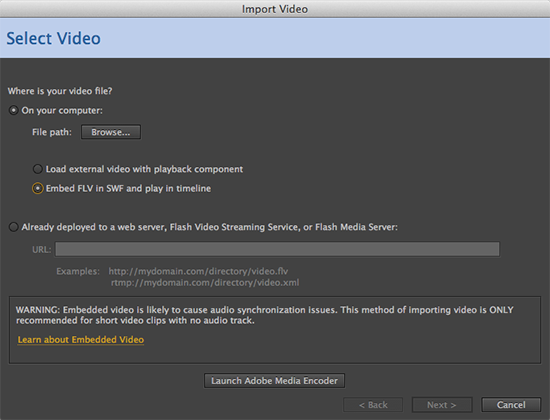 Those who use embedded video in Flash can still import video as usual, but Adobe no longer provides the tools to create those videos. Luckily, there are many other tools out there to do the job. A quick Google search will bring up a myriad of websites and free tools for converting video to FLV. 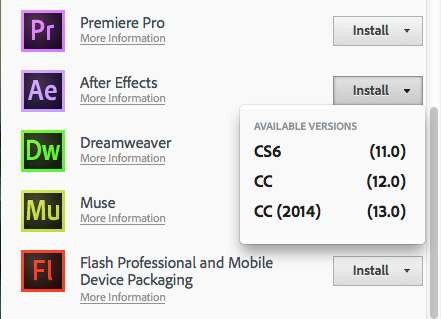 Another option is to keep older versions of Media Encoder and After Effects installed alongside your CC 2014 versions. If you’re like me and have already uninstalled your earlier versions of the Adobe software, there is still hope. From the Creative Cloud panel, you can install CC 2014, CC, and CS6 versions of the software, so simply reinstall an older version of the program you need. Click the Install button next to the desired software and you will see a dropdown giving you the option to install CS6, CC, or CC 2014. Select the option you want, and once the software is installed you should be back in business.